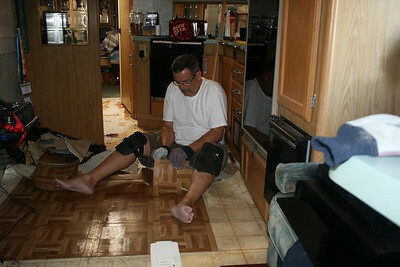 The Flooring project is underway. After fully stripping out all existing layers of flooring to the subfloor, Trafficmaster Allure vinyl flooring in kitchen, hallway and bath. Carpet will be replaced in the living room and bedroom.